Forty-year-old Diah Arfianti never dreamed that using Facebook would help transform her pastry-baking hobby into something profitable. She initially started selling two dozen jars of cookies in 2001 to friends in her hometown of Surabaya, East Java, during the Ramadhan fasting month to earn extra income. The business then became more serious as she needed to feed her family following her husband’s redundancy in 2010. Indonesia’s social media boom has contributed to Diah’s business growth, as 80 percent of her customers now connect with her through Facebook. During Idul Fitri in 2017, she earned Rp 1 billion (US$71,827) within a couple of weeks just by selling her products on Facebook. As her business mostly depends on Facebook, Diah is concerned by rumors that the social media giant will be blocked in Indonesia following a data-breach scandal in the United States implicating the platform and political consultant Cambridge Analytica. Read also: Will Facebook Indonesia face criminal charges for data breach? Diah is only one among millions of Indonesians who rely on the services, known as over-the-top (OTT) services, of internet giants such as Facebook, Instagram, WhatsApp and LINE, often without realizing it. A joint report by think-tank Centre for Strategic and International Studies (CSIS) and the Asia Internet Coalition (AIC), which represents the world’s leading technology companies in Asia, has found that in Indonesia popular internet platforms, initially intended to help people exchange information and communicate, have become trading websites. The report cited 2017 data by the Indonesian E-Commerce Association, which says that 43 percent of Indonesia’s small and medium enterprises (SMEs) use Facebook to market their products, followed by Instagram and other websites at 11 percent and 7 percent, respectively. CSIS economic department head Yose Rizal Damuri pointed out that OTT platforms were popular with SMEs as they personalized communication between sellers and buyers. “Users can also file more direct complaints and suggestions to other parties through [OTT] services compared to when they use websites that are less interactive,” he said. However, Paine argued that difficulties remained for the government in finding a balance between implementing regulations related to OTT services and supporting its development. He said the government insisted that OTT companies have a physical presence, pay tax and use the assigned national payment gateway, in line with the stance taken by authorities in Thailand and Vietnam. The CSIS-AIC report also refers to a draft decree from the Communications and Information Ministry on OTT services, which first emerged in September 2017. Communications and Information Minister Rudiantara had earlier aimed to complete the decree by the end of 2017, but then revised it to the end of March, but it still remains unissued. Speaking at the report launch on Wednesday, the ministry’s Director General of Information Application Samuel A. Pangerapan promised that the decree would be issued in late May with an adjusted focus. He said the ministry would shift from regulating physical data centers to data categorization, namely strategic, risky and less-risky information. 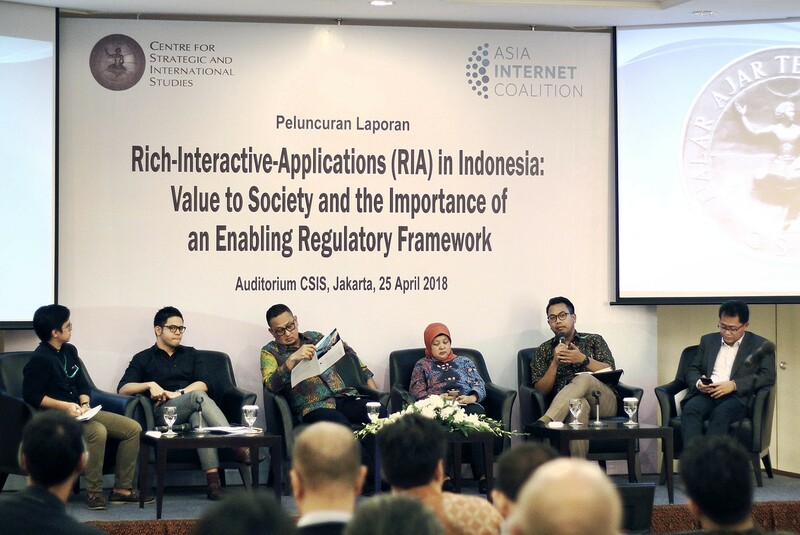 Former trade minister and senior CSIS fellow Mari Pangestu said the government remained behind the curve on many issues regarding OTT services, so it should be educating citizens on how to utilize the platforms in a better and more structured manner. Interested in more premium articles like this? 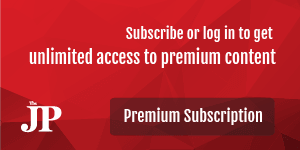 Click here to subscribe for full access, which starts from $11 a month.